Waite, P.B.. "Pacific Scandal". The Canadian Encyclopedia, 17 October 2018, Historica Canada. https://www.thecanadianencyclopedia.ca/en/article/pacific-scandal. Accessed 23 April 2019. The Pacific Scandal (1872–73) was the first major political scandal in Canada after Confederation. 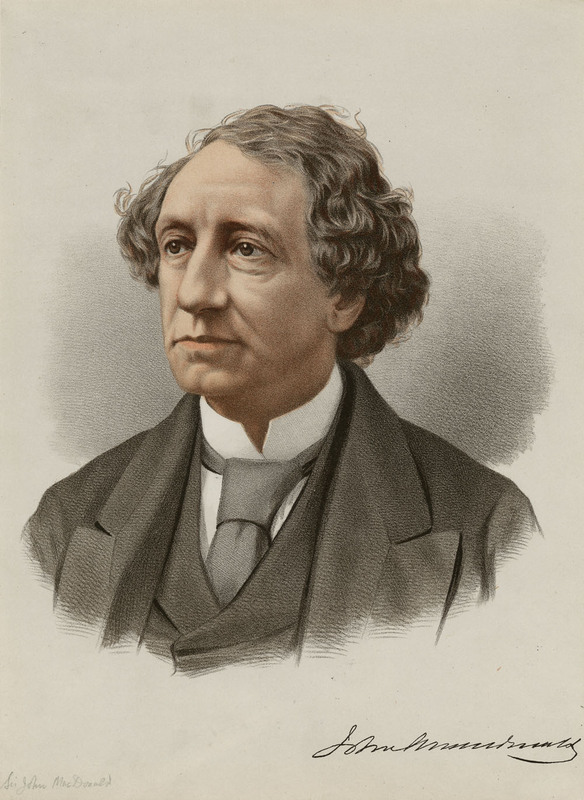 In April 1873, Prime Minister Sir John A. Macdonald and senior members of his Conservative government were accused of accepting election funds from shipping magnate Sir Hugh Allan in exchange for the contract to build the transcontinental Canadian Pacific Railway. The affair stung Macdonald and forced the resignation of his government in November 1873, but it didn’t destroy him politically. Five years later, Macdonald led his Conservatives back to power and served as prime minister for another 18 years. 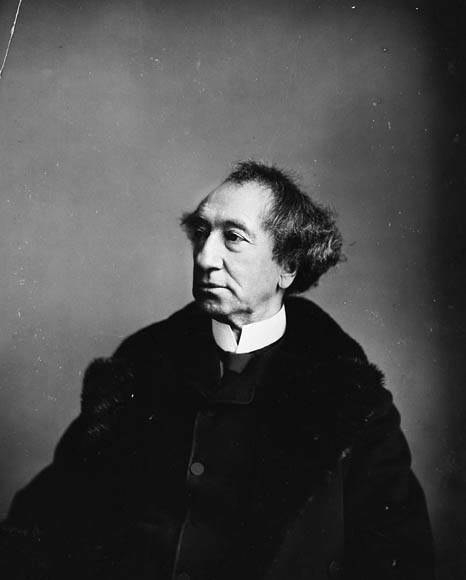 Sir John Alexander Macdonald, lawyer, businessman and the first prime minister of Canada. Sir Hugh Allan moved from being a shipping magnate into railways, communications and finance. At the time of the Pacific Scandal, the financial activities of political parties were mostly unregulated (see Political Party Financing in Canada). From Confederation until about 1897, the Liberal and Conservative parties both tended to rely on corporate donations, which led to periodic scandals. In 1871, British Columbia was lured into the Dominion of Canada under the promise that a transcontinental railway would be built within 10 years (see Railway History). The proposed line — 1,600 km longer than the first American transcontinental — represented an enormous expenditure for a nation of only three and a half million people. 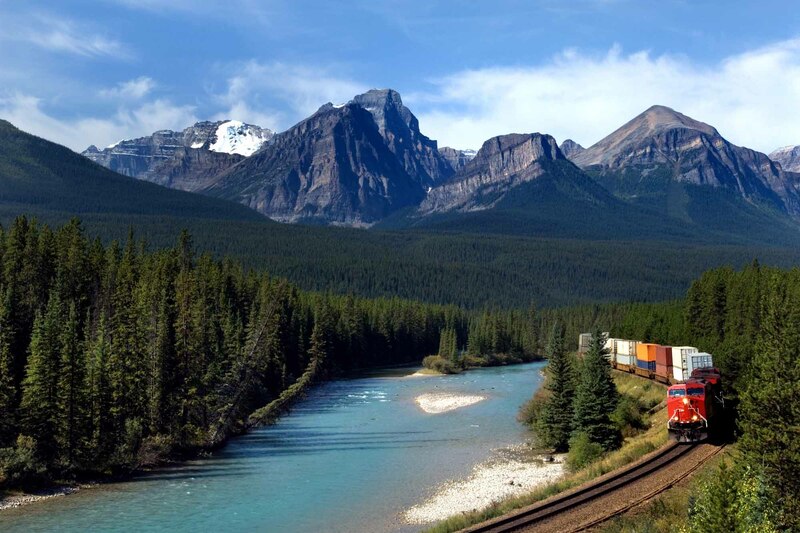 Two syndicates vied for the contract, including the Canadian Pacific Railway. 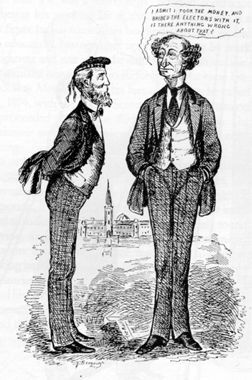 The Pacific Scandal originated when Prime Minister Sir John A. Macdonald and his Conservative	colleagues Sir George-Étienne Cartier and Hector-Louis Langevin	went shopping for campaign funds for the 1872 general election (see Political Campaign). The target of their solicitations was Sir Hugh Allan, a Montreal shipping magnate and railway builder. The Conservatives needed money to compete in the election, particularly in Ontario and Quebec, where it appeared they might lose several seats. Financed partly by American backers, Allan donated more than $350,000 to the Conservative campaign. Despite the financial boost, the Conservatives did poorly in the vote. 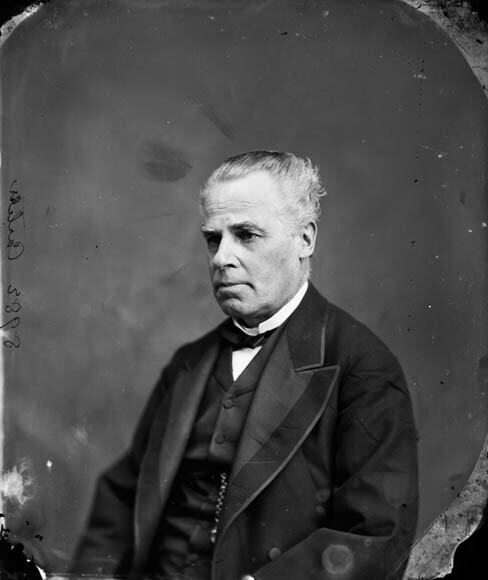 While Macdonald held on to power, the majority government	he won in 1867 was substantially reduced. 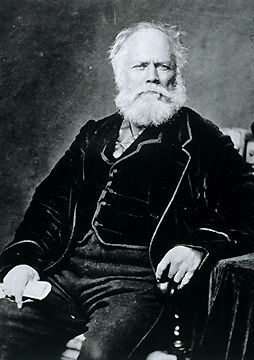 After the election, a railway syndicate organized by Allan was rewarded with the profitable contract to build the Canadian Pacific Railway — the transcontinental railway promised to British Columbia when it joined Confederation in 1871. Allan was given the contract on the assumption that he would remove American control on the syndicate’s board of directors. But Allan, unknown to Macdonald, had used American money to supply the campaign funds to the Conservatives. In 1871, British Columbia was lured into Confederation with the promise that a transcontinental railway would be built within 10 years. The proposed line — 1,600 km longer than the first US transcontinental — represented an enormous expenditure for a nation of only 3.5 million people. Two syndicates vied for the contract, but it was secretly promised to Sir Hugh Allan’s syndicate in return for financial support for the Conservatives during the closely contested 1872 election. Sir Hugh Allan was a prolific letter-writer and kept records of his correspondence with Sir John A. Macdonald and Sir George-Étienne Cartier. 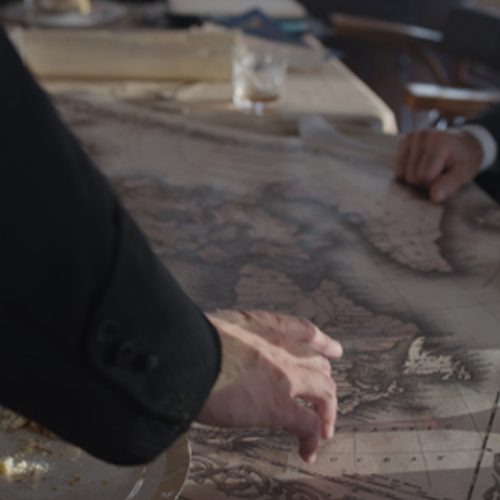 While Allan and his lawyer, John Abbott, were in England securing funds for the Canadian Pacific Railway, Abbott’s private secretary, George Norris, and an accomplice stole incriminating letters that Allan had left with Abbott for safekeeping. The letters showed that an agreement existed between Allan and the Conservatives — notably Macdonald, Cartier and minister of public works Hector-Louis Langevin — assuring Allan the railway contract in return for campaign funds. Norris sold the documents for $5,000 to Liberal opposition members, who broke news of the scandal in the House of Commons on 2 April 1873. 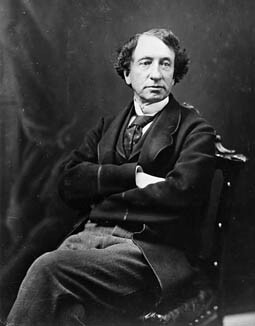 In response to Liberal accusations, Sir John A. Macdonald claimed that his “hands were clean” because he had not profited personally from his association with Allan. However, by his own admission, Macdonald — who was a heavy drinker — could not remember periods of time during the 1872 election campaign and the negotiations with Sir Hugh Allan. Days after the matter entered the House of Commons, the Macdonald government convened a parliamentary committee to investigate allegations of conflict of interest	and corruption. Macdonald convened a royal commission to investigate while Parliament was suspended. When the House of Commons reconvened on 23 October, several Conservative members of Parliament (MPs) left the party. Many of these MPs, including Donald Smith	(who would later become director of the CPR), joined opposition leader Alexander Mackenzie in his call for a vote of confidence. The Conservative’s weakening majority was further threatened by the likelihood that members from the new province of Prince Edward Island would also vote against the government. 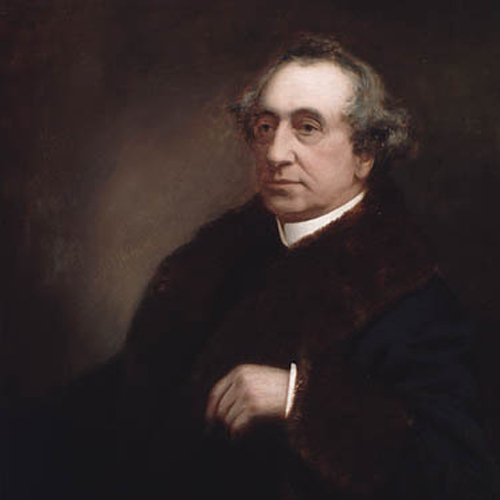 Realizing that his government would lose the confidence of the House, Macdonald asked the Governor General to dissolve Parliament on 5 November. 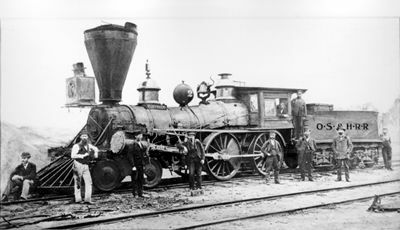 Donald Smith later became director of the CPR and was famously photographed on 7 November 1885 driving the ceremonial Last Spike of the completed transcontinental railway. 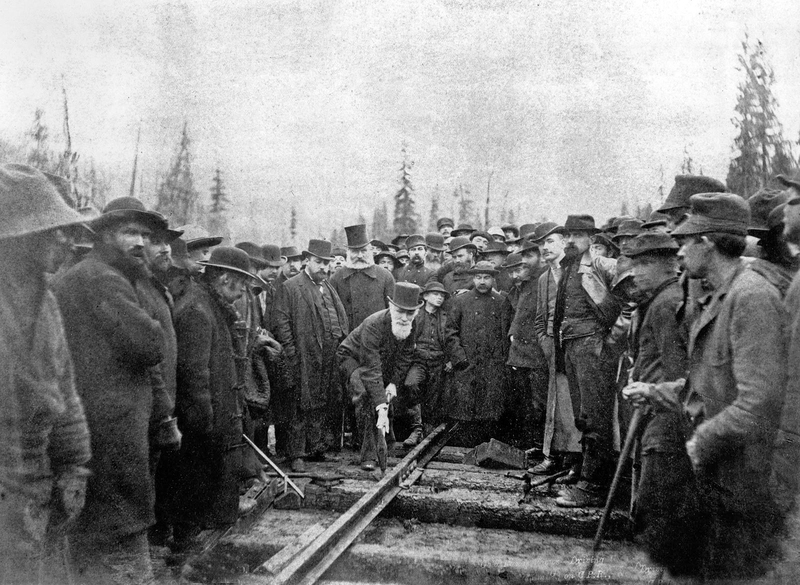 Donald Smith driving the Last Spike to complete the Canadian Pacific Railway on 7 November 1885. Allan’s company never did get started, and a new contract agreement to build the Canadian Pacific Railway had to wait until 1880. 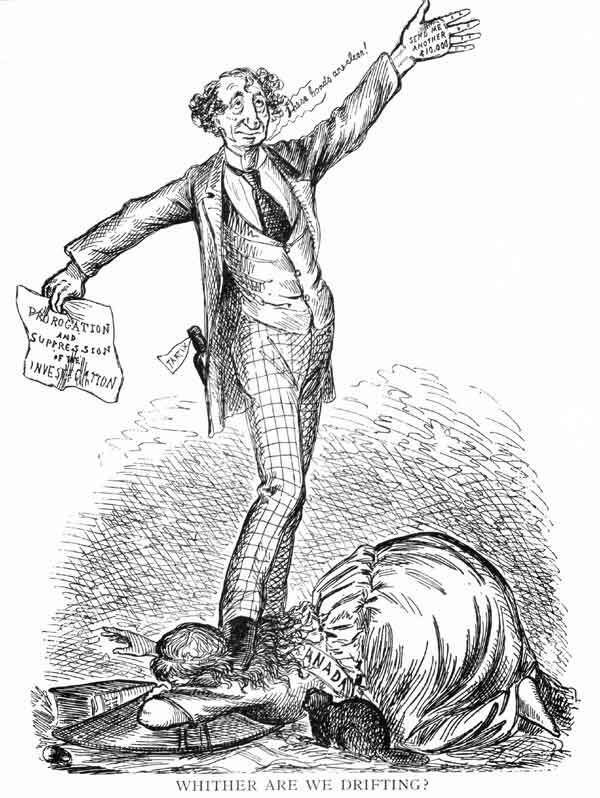 The Liberals were invited to form government by Lord Dufferin, with Mackenzie becoming Prime Minister. An election was called for January 1874, in which the Liberal party formed a large majority, winning 138 of 206 seats in the House of Commons. 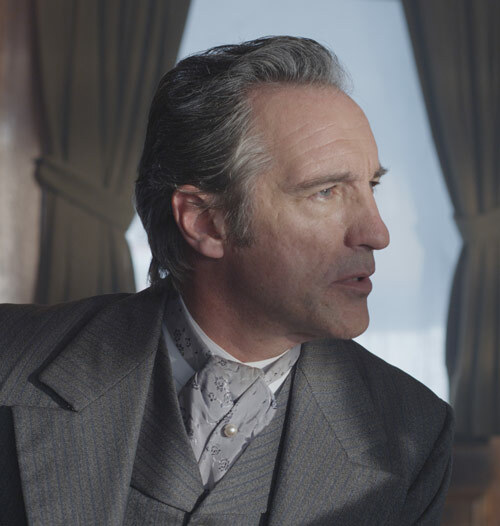 The scandal was the final political struggle for Sir George-Étienne Cartier, who had lost his Montreal East seat in the 1872 election but was acclaimed to the Manitoba riding of Provencher a month later. Cartier was at the centre of the scandal because he had written the letter offering the railway contract to Allan. He died one month after the scandal broke, on 20 May in London, where he was receiving treatment for Bright’s disease. Macdonald offered to resign as Conservative leader the day after he stepped down as Prime Minister. However, the Conservative caucus refused his resignation. Macdonald would rise to become prime minister again, when his party won the 1878 election, and would remain prime minister until his death in 1891. He was succeeded, ironically, by John Abbott, Sir Hugh Allan’s lawyer at the time of the scandal. Sir Hector-Louis Langevin, Minister of Parliament for Dorchester, Québec, and Minister of Public Works, Ottawa, July 1873 (courtesy Library and Archives Canada, PA-026409). 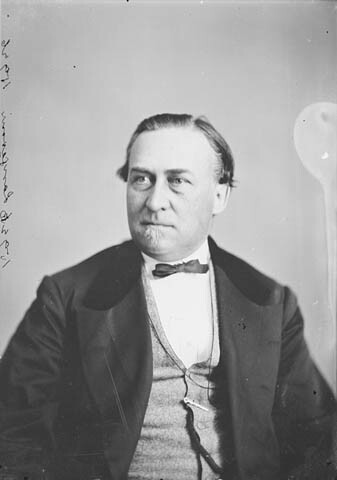 Hector-Louis Langevin left politics in 1873 because of his role in the Pacific Scandal. He attempted a return to federal politics in the 1878 election but lost in the riding of Rimouski. A month later, he was acclaimed to the vacant riding of Trois Rivieres and became Minister of Public Works, the Cabinet post he held when the government resigned in 1873. But his fortunes changed after the death of Macdonald in 1891. That year, he was implicated with MP Thomas McGreevy in the so-called McGreevy-Langevin scandal. This affair was uglier and involved kickbacks from federal contracts to McGreevy. Langevin stepped down as public works minister and was exiled to the backbenches until he left politics in 1896. McGreevy was sentenced to a year in jail. From 1889 until 2017, the building that houses the Prime Minister’s Office in Ottawa was named Langevin Block, after Sir Hector-Louis Langevin. 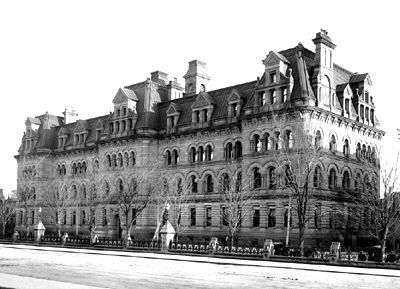 However, the large, limestone building across the street from Parliament Hill was renamed the Office of the Prime Minister and Privy Council when it came to light that Langevin had played a role in the creation of the residential schools system. Office of the Prime Minister and Privy Council (formerly, Langevin Block), Ottawa.